● Y. Z. Wang, T.M.Wu (2006/9), Some mathematical models for deciding the number of examination questions on computerized adaptive tests, Applied Mathematics and Computation (SCI),180(1) ,178-184. ● Y. Z. Wang （2004/8）, A GA-based methodology to determine an optimal curriculum for schools, Expert Systems with Applications,(SCI), 28,163-174. ● Y. Z. Wang, F.M.Lee （2004/7）, Grey relational analyzing the relationship between the students' records of entrance examination and their future academic performance, The Journal of Grey System ,16（2）,155-164. ● H.C. Kuo , H.K.Chang, Y. Z. Wang (2004/5), Symbiotic evolution-based design of fuzzy-neural diagnostic system for common acute abdominal pain, Expert Systems with Applications, (SCI), 391-401. ● Y. Z. Wang （2003/7）, Using genetic algorithm methods to solve course scheduling problems，Expert Systems with Applications, (SCI), 25,39-50. ● Y. Z. Wang , S.C.Chen（2002/12）, Missions for executives in developing an E-management platform，ICEB 2002 International Conference on Electronic Business, 455-456. ● Y. 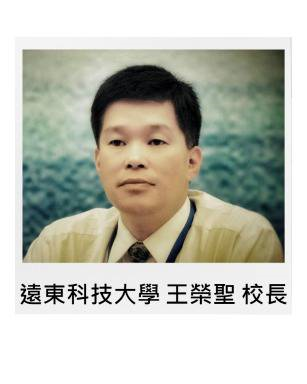 Z. Wang （2002/8）, A Model for Technovocational School-Based Curriculum Planning and Evaluation under the Framework of Total Quality Management , ERIC（Document Reproduction Service No. ED 468 490）. ● Y. Z. Wang （2002/8）, Proposed curriculum desing for a 2-year college of technology, ERIC（Document Reproduction Service No. ED 474 552）. ● R. S Lee, Y. Z. Wang﹐J. P. Tsai﹐C. B. Chen（2002/08）, Innovative course development and education model of reverse engineering for mold design and manufacturing in 21st century, 2002 IEEE/ASME International Conference on Advanced Manufacturing Techniques and Education in the 21st Century. ● Y. Z. Wang （2002/4）, An application of genetic algorithm methods for teacher assignment problems，Expert Systems with Applications, (SCI), 22, 295-302. ● R.S Lee﹐Y. Z. Wang﹐J. P. Tsai﹐Y. C. Kao, Grier C. I. Lin, K. C. Fan（2002/2）, STEP-based product modeling system for remote collaborative reverse engineering, Proceedings of the International Manufacturing Leaders Forum 2002, Australia, 192-197.